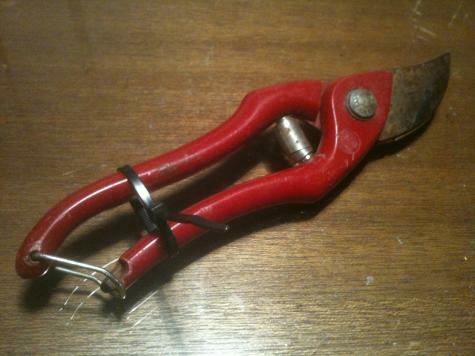 The handle on this pair of secateurs had broken off, which meant it was impossible to lock them closed. The repair job was quick and easy. Firstly we added a temporary cable tie to keep the handles closed. 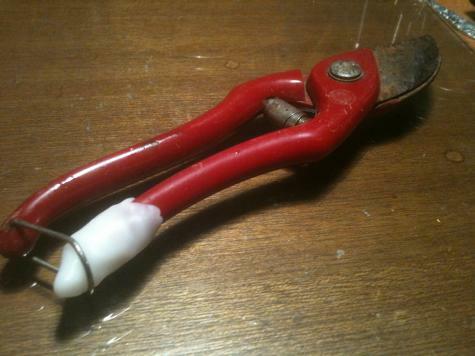 Then Plastimake was moulded around the end of the handle so that the metal clip can slide on and off. Good as new!